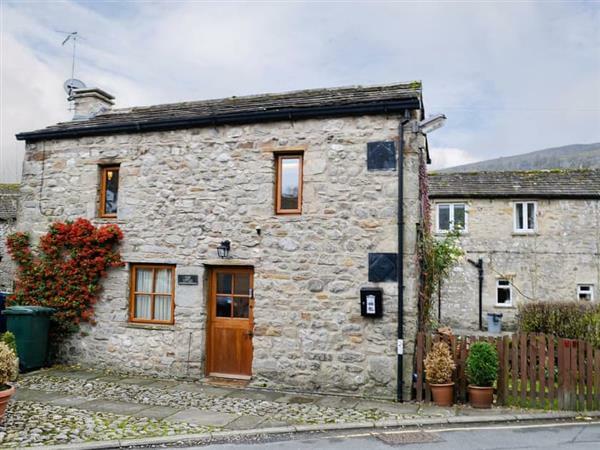 Turf Cottage in Kettlewell, Yorkshire sleeps 2 people. 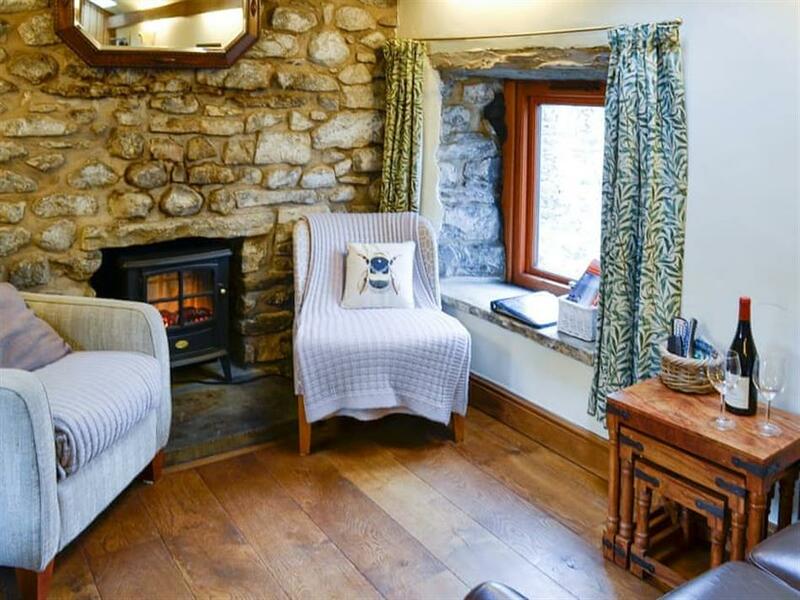 Turf Cottage in Kettlewell is tucked away at the side of the beck in this beautiful village; Turf Cottage is a bijou cottage which was originally converted from a turf drying house and retains much of its character with exposed oak beams and stone walls. Kettlewell lies in the heart of Wharfedale and as such offers excellent walking, cycling and touring direct from the door in stunning scenery, which has become known as Tour De France country. The village is served with three pubs, a village shop and two tea room, all within easy walking distance and all offering a variety of food. The village also hosts a 9-day long scarecrow festival every August which attracts thousands of visitors each year. Grassington is 7 miles away, offering a selection of country shops, pubs and restaurants, it plays host to the arts festival in summer where famous artists, comedians and presenters top the bill. In winter it hosts the Dickensian Festival, to really get you into the Christmas spirit. Just over 9 miles away lies the bustling market town of Skipton with its Norman castle standing proudly at the top of the town. Here you will find a golf course, an indoor swimming pool and leisure complex together with canal trips. The National Trust properties of Fountains Abbey and Studley Royal are 20 miles away offering a lovely day out. For those wanting to explore further afield, York is just 44 miles away. The shop is 350 yards from Turf Cottage in Kettlewell, with the pub 150 yards and the restaurant is 250 yards from Turf Cottage. Shower room: With shower cubicle, toilet, heated towel rail and washing machine. Living area: With electric fire and Freeview TV. Kitchen area: With table top electric oven, 2 ring electric hob, combi microwave/oven/grill, fridge and dishwasher. Electric central heating, electric storage heaters, bed linen, towels and Wi-Fi included. Small enclosed lawn garden with garden furniture. Private parking for 1 car. No smoking. Please note: There is a beck at the bottom of the garden. Holidays at Turf Cottage run from Saturday to Saturday. Pets allowed at Turf Cottage. For a better idea of where Turf Cottage is, you can see Turf Cottage on the map below. Turf Cottage is in Morayshire; should you be on the lookout for a special offer, you can find all the special offers in Morayshire. It's always worth checking to see what is on offer at the moment. Do you want to holiday near Turf Cottage (UK2612), you can see other cottages within 25 miles of Turf Cottage; have a look to find your perfect holiday location.